We’re just weeks away from the release of Infinity Runner, the next big blockbuster title from Wales Interactive. We’ve talked about the game extensively on the site and now we’re moments away from its PC debut. 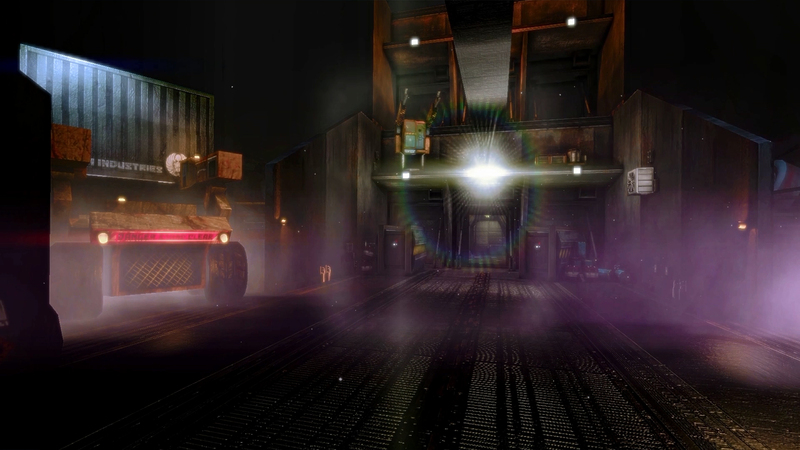 Infinity Runner tells the story of a prisoner trying to escape a decaying ship. The prisoner is capable of mixed martial arts and aerial acrobatics, and the aim of the game is, simply, keep running until you can’t run anymore. Which is probably somewhere around the conclusion of the game’s 14th level. Either way, Infinity Runner is fast-paced, frantic, fun and basically we’re friggin’ excited! The game will support Oculus Rift and is intended to support Project Morpheus upon the launch of the hardware. Infinity Runner also supports a crazy, 32 person multiplayer experience which is being kept a closely guarded secret for the moment. However, with the game to launch shortly, we hope to have some coverage for you in time for launch. But the one element of the game that mystifies and intrigues us the most? Werewolves. Until now, their presence has been a bit of a mystery. How are they there? Why are they there? Who are they? While those questions still don’t have an answer, the game’s launch trailer allows us to see these beasts, up close and personal. Big B Wolf, they’re not. The launch trailer even hints that, maybe possibly, you’ll get to be a Werewolf yourself.